Katie Belle hails from the city of Atlanta, Georgia. Katie has been active in the entertainment industry since she first began songwriting and producing her own original music at the tender age of 12. 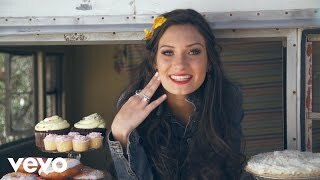 Her first original, “Born for This” produced in Nashville (2011) rings true with her lyrics. Since the debut of that single Katie has not stopped! She continues to song write and release originals, a new group of singles is currently wrapping up production.